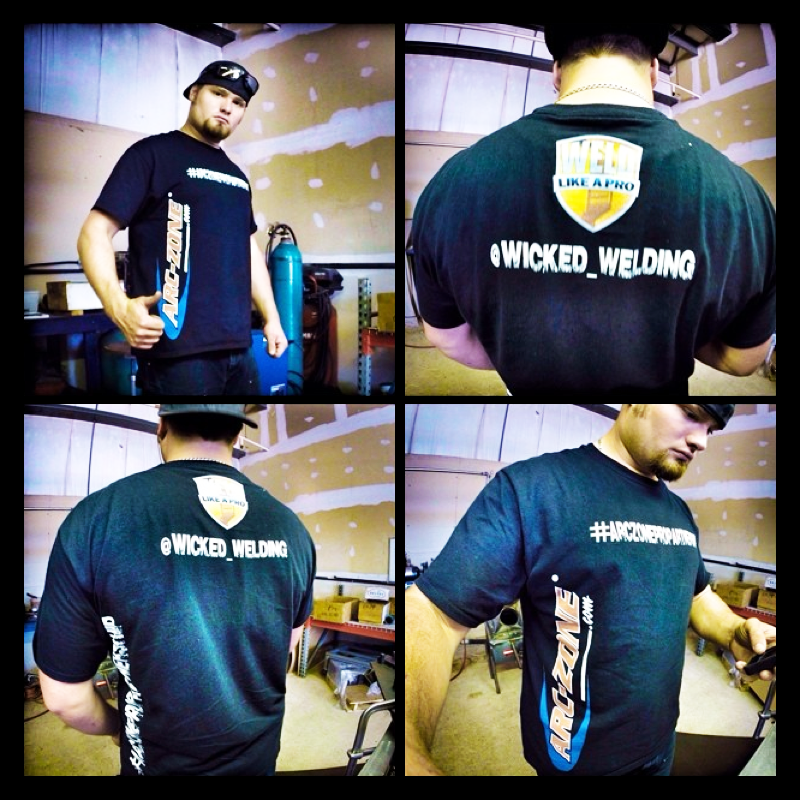 Before we get into the Q & A with Wes Mishler, AKA @wicked_welding on Instagram, we first want to tell you a little bit about how we came to know him…. 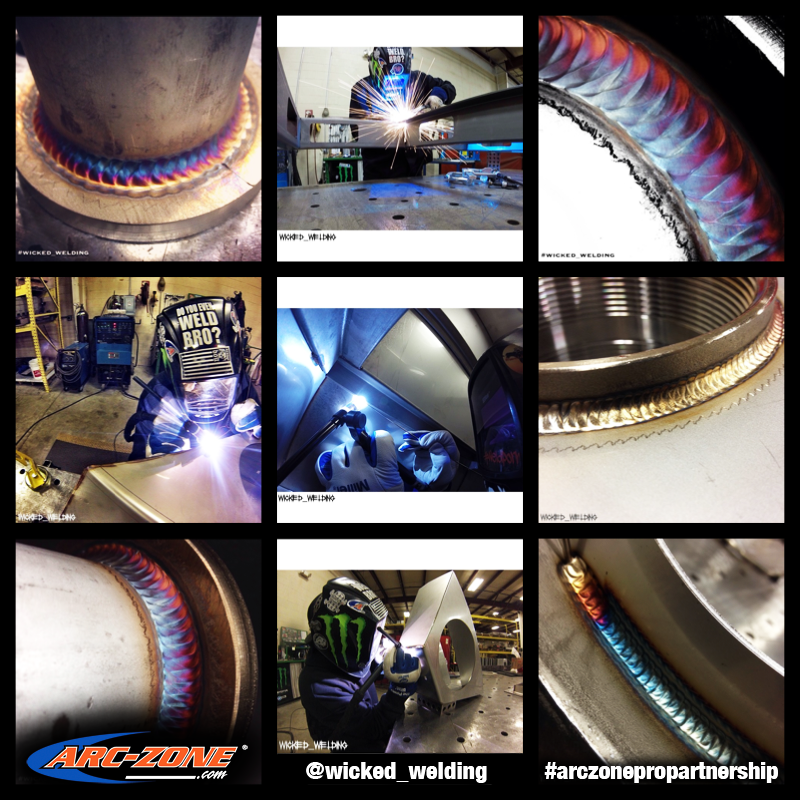 We actually met Wes quite recently, sometime in early March, 2014, but since then, a whole lot has changed… At the time, we were in the process of officially launching the “Arc-Zone Pro Partnership“, which is a network of master fabricators and industry professionals who are committed to quality craftsmanship – but in its purest form, a way to celebrate the industry and our fellow tradesmen who are in it! That being said, after lots of research and discussion, Wes was selected to be our very first Pro Partner, and boy were we lucky to have him! We didn’t know it at the time, but this professional partnership amongst a business and a fabricator, quickly turned into a true friendship. A: I was about 15 years old. The first real thing I can think of that sparked my interest in welding was watching my dad repair things in his shop with a Arc welder for his heavy equipment hydraulics business and seeing that you can build things to suit your needs. A: Most of my basic training came in stick – and MIG came from my dad. Then I went to LCC for Auto repair and after that I switched to a Applied Science degree in welding. Shop experience came from the shop I currently work for, which I’ve been at for 6 years now. I started as a general laborer and after a month I was a full-time welder/fabricator. After two years, I was promoted to a project manager for a few months to get a large project launched in our shop which included: quoting, purchasing, logistics, fixture designing, fabrication, and doing the full weldments from start to finish. After that, I was moved up to my current position as welding engineer. I don’t like this title, I would describe what I do as Engineering weldor, where I still assist our quoting dep’t with weldment costs, fixture design in solidworks and building, consumable purchasing, welding dept leed, work cell setup, prototyping, production welding, and fabrication. A: I love to weld stainless!! But I really also like designing things in solid-works then taking that design and making it into a reality. A: My biggest welding challenge, besides unrealistic due dates, had to be when I was going to school plus welding full time. Having to leave work and drive an hour to night school, then be there all night and come home to get up the next day and do it all over again, all week long while juggling having my kids and wife at home. A: Besides working with Joanie at Arc-Zone on the Pro Partnership… It has to be when Nick Mishler (my brother), our engineer Brandon Bansale, and I stayed after work for a few weeks developing a bolt-on light bar kit for the JK Jeep that we wanted to present to one of our current customers. We designed everything from scratch – from specialty tooling for our press break, to final fitment to the Jeep. A: EVERYTHING.. I like black label society, rage against the machine, dubstep, hip hop and rap…. I also like listening to audiobooks when i’m on production welding (action books). A: HA! #COLDBEER I usually have a beer in my hand when i’m drinking, I love my budweiser but I do enjoy long island from time to time. A: Love to ride, play with my kids, I find cutting my lawn relaxing, grilling, and when I can, I love to take my truck to Silver Lake sand dunes here in Michigan. 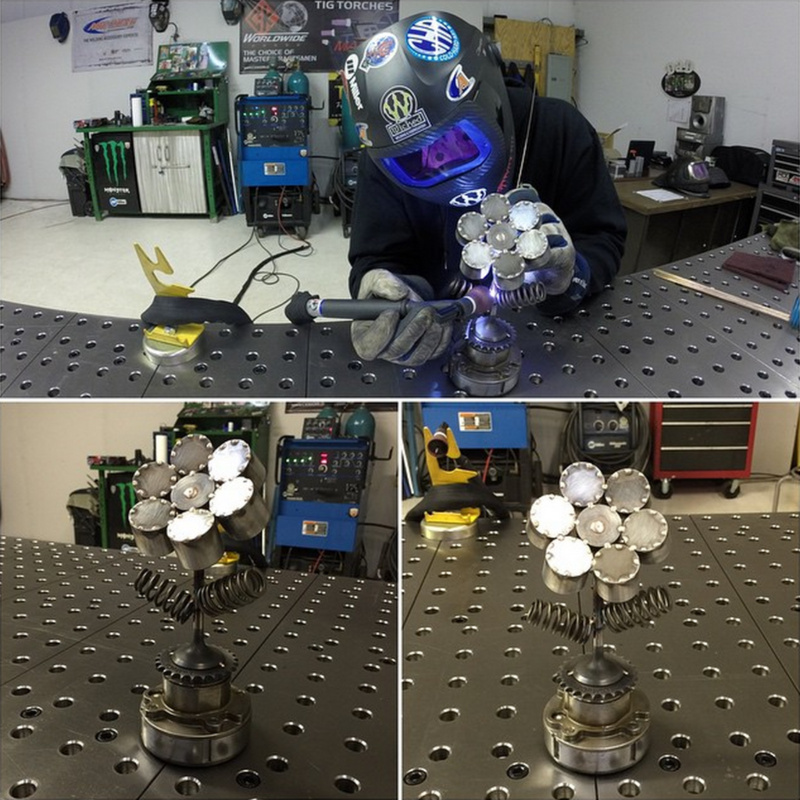 A: I would love to see the company I work for get into robotic welding because I believe in some cases, it just makes sense to have our skilled welders welding on things that require a human touch and let the robots do the repetitive weldments. This would enable me to get trained on how to program the robots. I would also love to be self employed doing welding in a shop of my own. My father had his very successful small business for over 25 years and I would love to be able to create something that successful for me and my family. A: I look up to a lot of welders that I have met on Instagram. Also, one of my favorite instructors at LCC, Jeff Seelye. And last but not least, the guy who taught me how to weld, Gary Mishler, my father. A: NEVER give up! Always take pride in your work. Take a moment after each weld and identify one thing you would improve on and then work on that until you nail it… Don’t try to fix all of your flaws at one time. Once you get a welding job, weld as if you had to personally hand the part to the paying customer. Your signature is in every weld. If there’s a question we missed that you want to ask Wes, just comment in the section below!